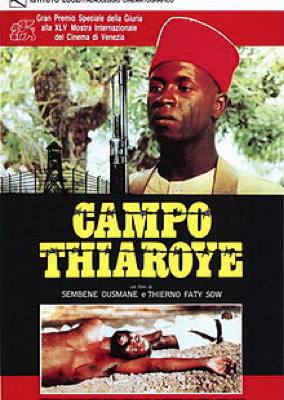 A critique on the colonial system, ‘Camp de Thiaroye’ is a war-drama about the mutiny and mass murder of French West African troops, via the hands of French forces in late 1944. Though the film is not a documentary about the events of the Thiaroye Massacre, it is considered an important historical document regarding the events of (and leading up to) the Thiaroye Massacre. Diawara, Manthia. “Camp De Thiaroye.” Black Film Review 6.3 (1992): 14. Communication & Mass Media Complete. Web. 7 Apr. 2014.